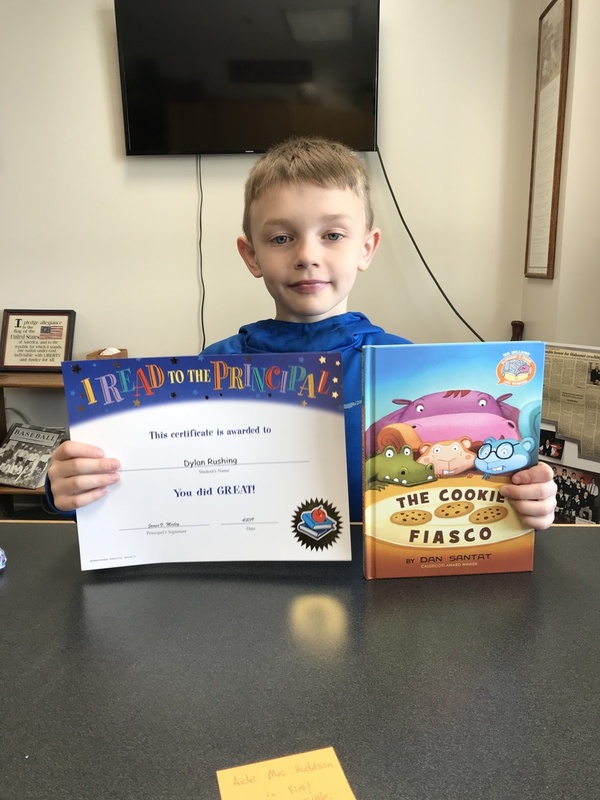 Each year, students in first grade take a trip to the Principal's Office to show off their reading skills. Mr. Moxley enjoys hearing them use their new found skills as they read with fluency and expression. Each student gets a certificate that says, "I Read to the Principal."